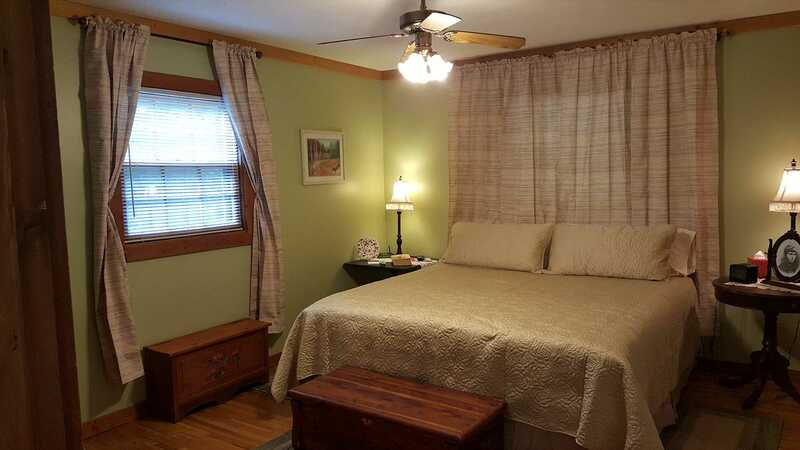 Perfect for Families and couples alike! 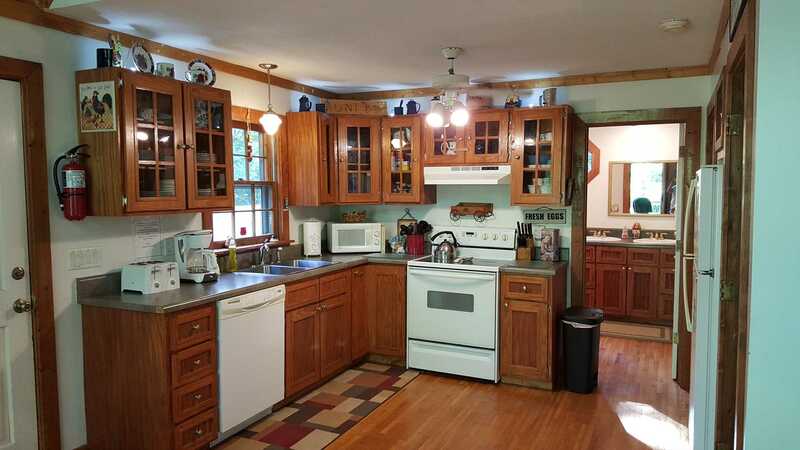 Parklike setting with 2 acres of beautiful outside space to enjoy. 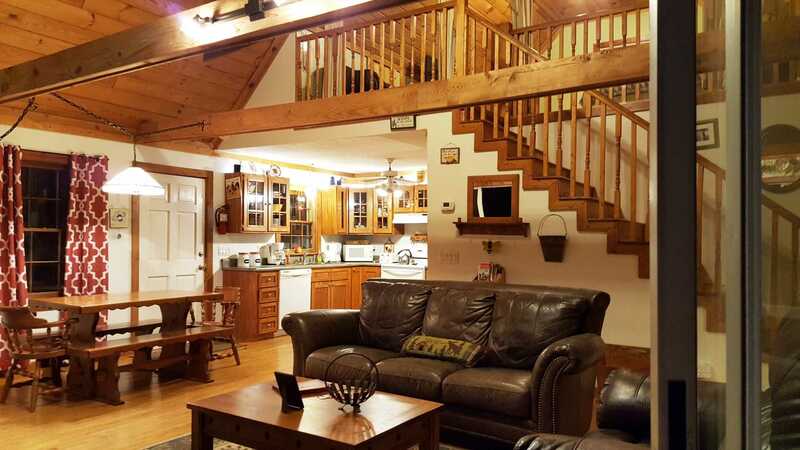 A cozy retreat for couples or families to relax and enjoy the Mountains only 6 miles from the Swiss Alpine Village of Helen, Georgia. 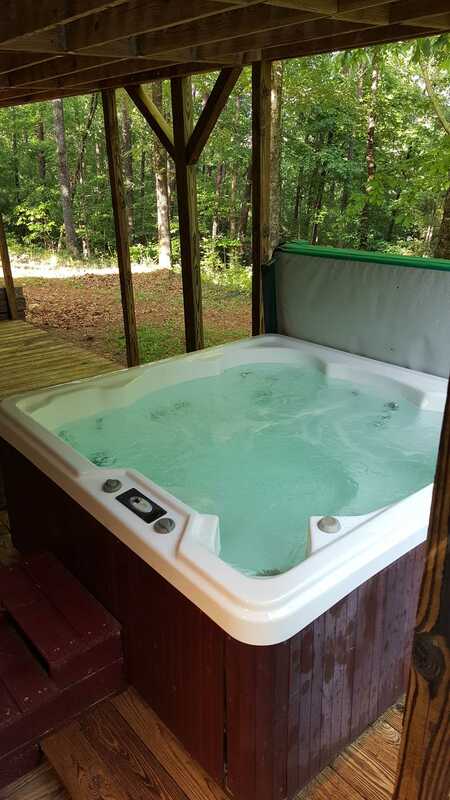 On the lower deck is a hot tub for unwinding after a day of hiking at Anna Ruby Falls and a large fire pit for relaxing and roasting marshmallows. 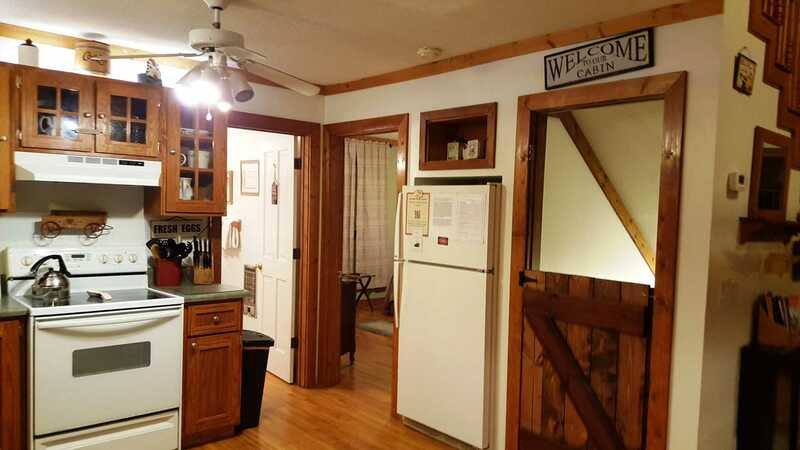 Cabin has a fully stocked kitchen with standard appliances for cooking, plus a dishwasher. 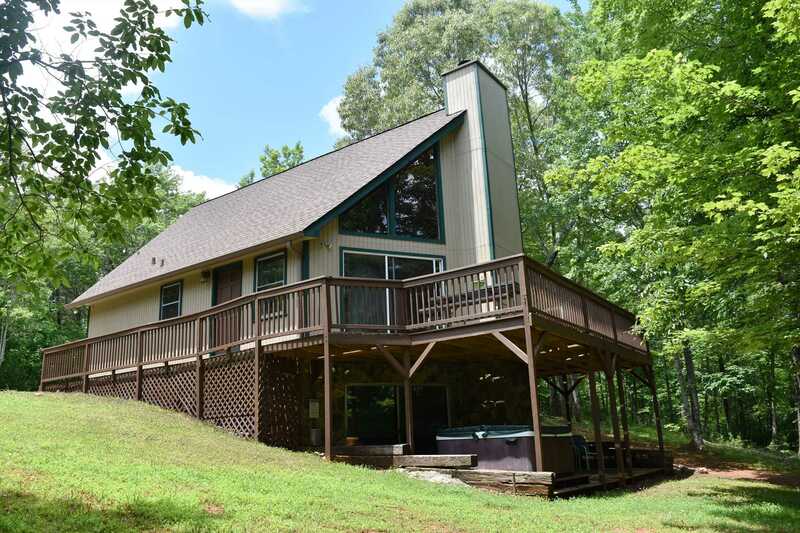 Outside on the upper deck is a gas grill and large picnic table for cook-outs. 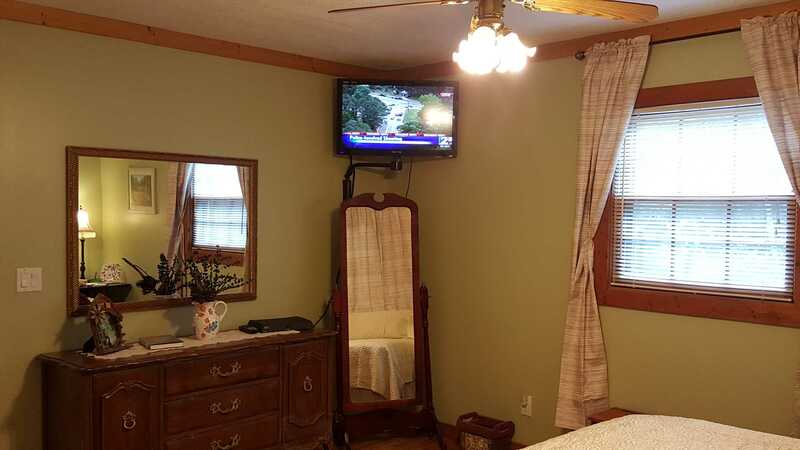 All TVs have Dish/Cable TV and WIFI is included for those that need to stay connected! 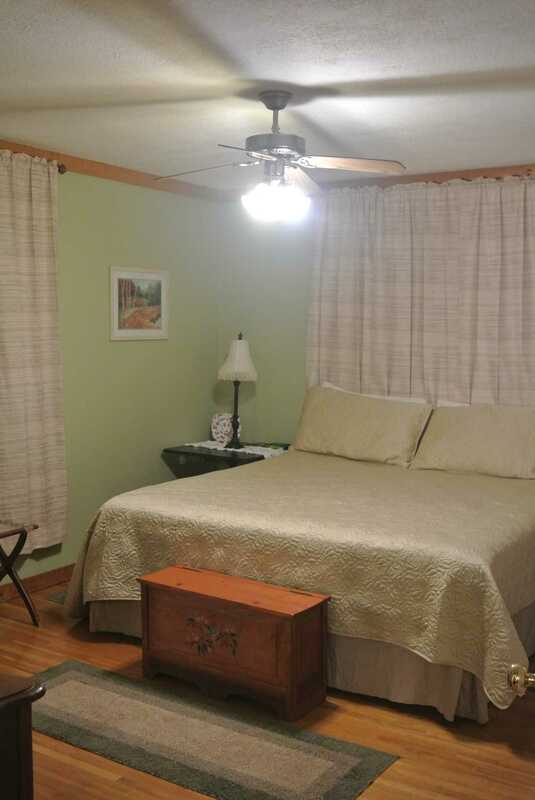 Main level has a king size bed in the master with a TV. 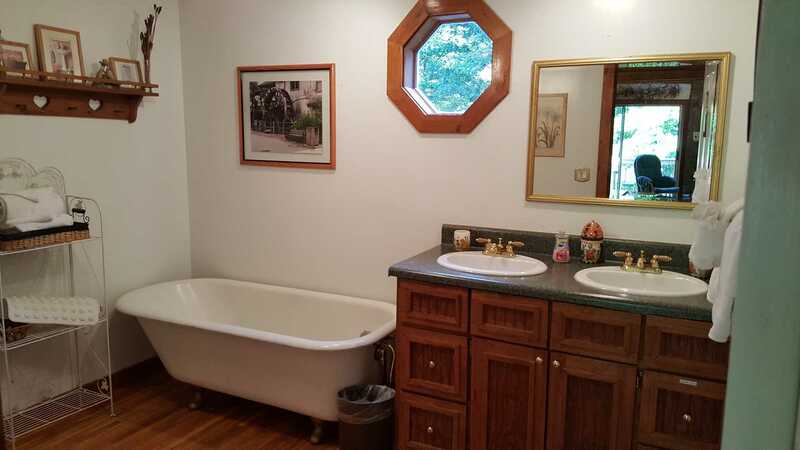 Full bathroom just outside bedroom area with antique claw foot tub. 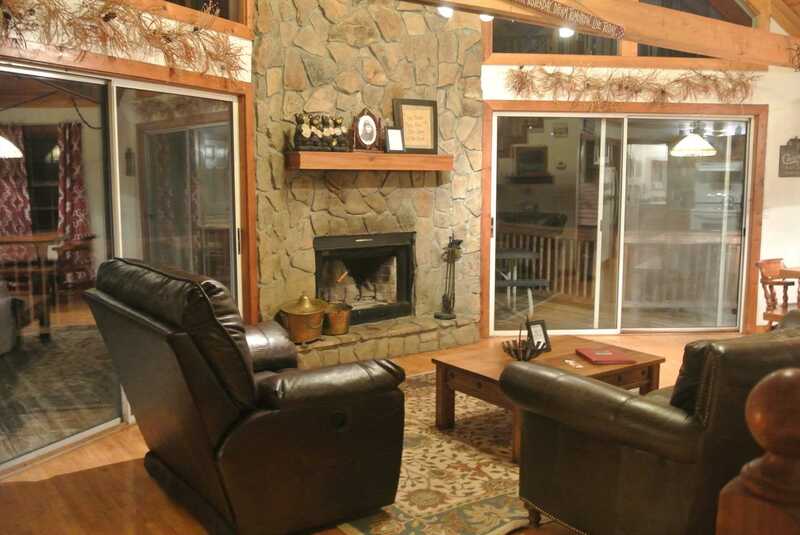 Main living room has a large, wood burning, rock wall fireplace surrounded by floor to ceiling windows. 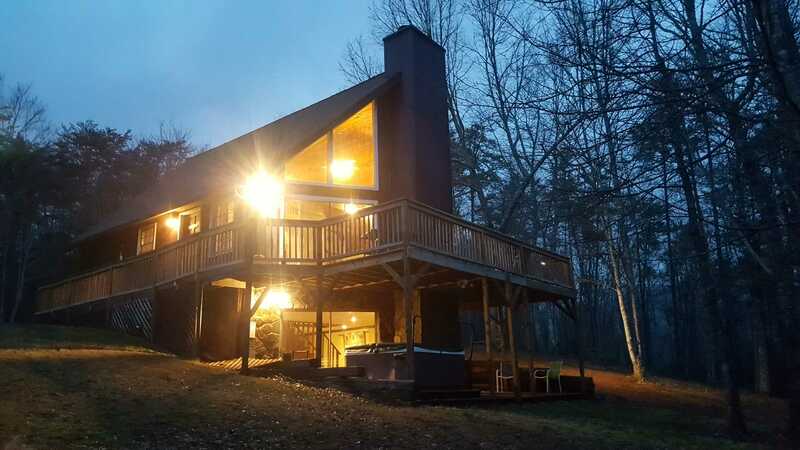 Enjoy great views of the distant mountains in the winter time! 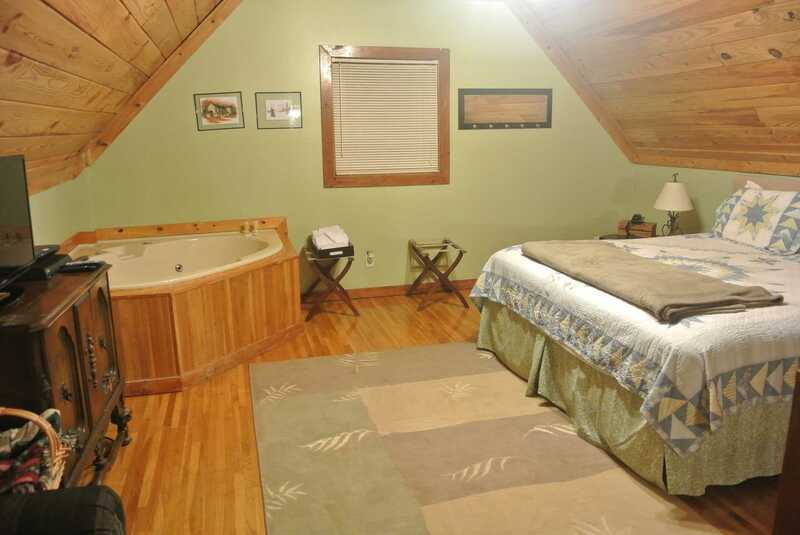 Upper loft is a "honeymoon suite" with a wonderful king bed and a private jetted tub for some relaxation time. 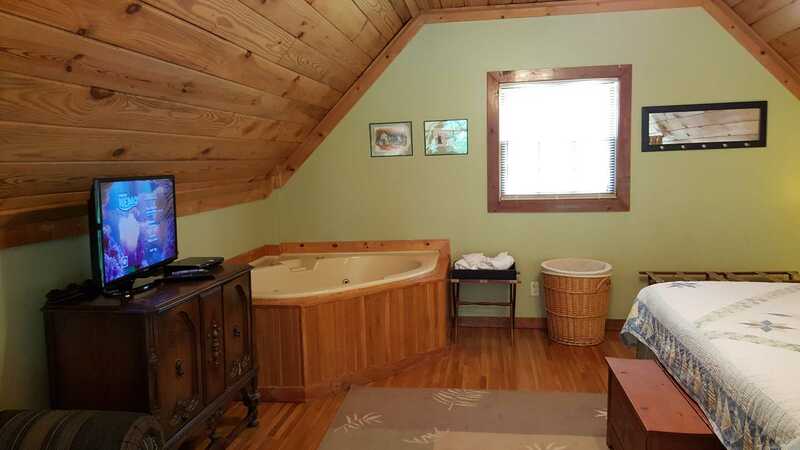 There is also another TV upstairs. 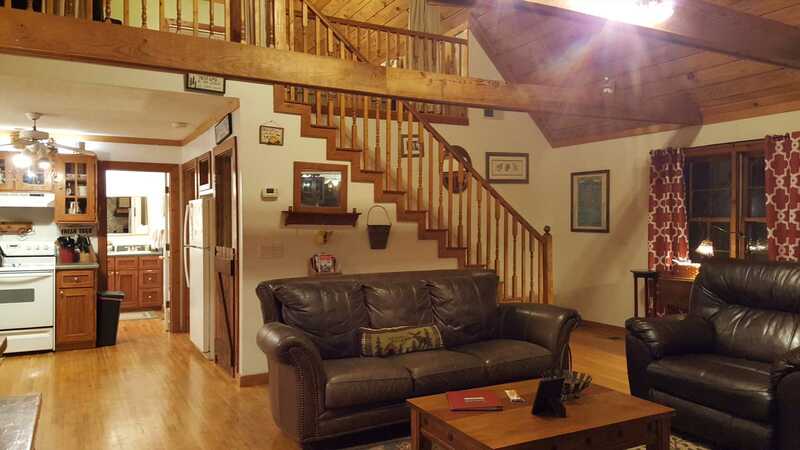 Downstairs you will find 2 futons for additional sleeping, a pool table, large TV, & Bar. 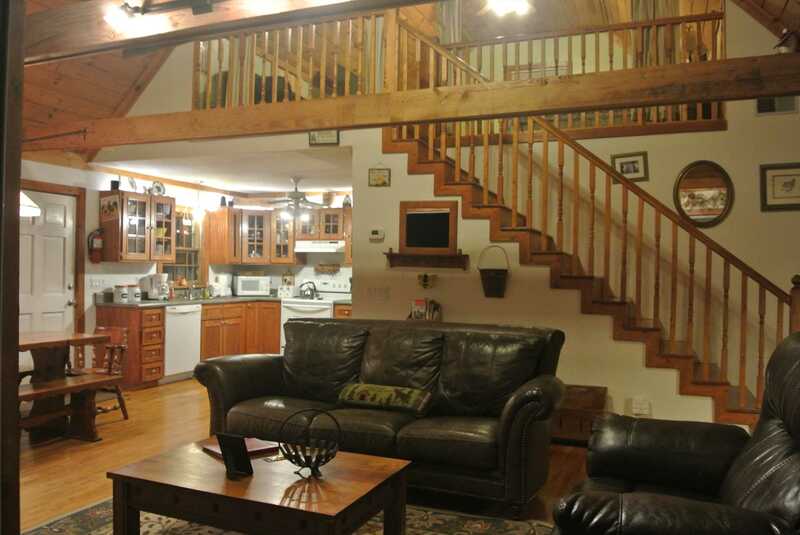 It is a great place to gather and watch some movies, play checkers, or enjoy a game of pool. 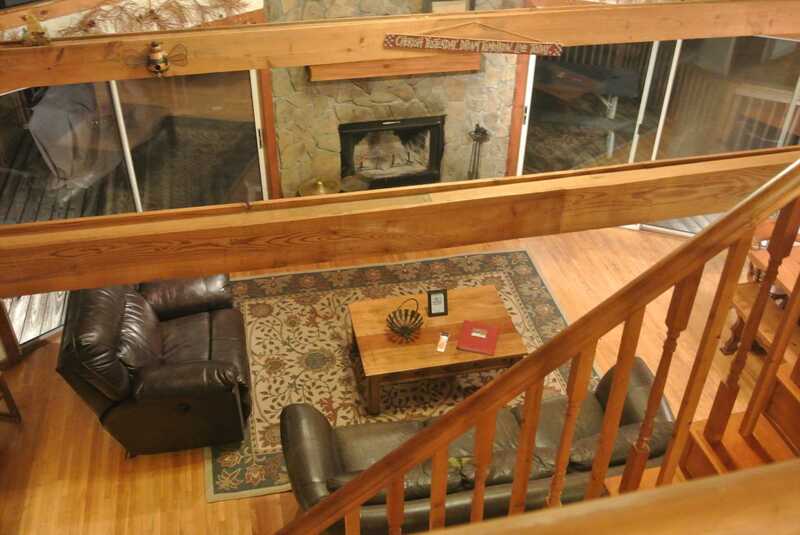 There is also another wood burning fireplace for your enjoyment. 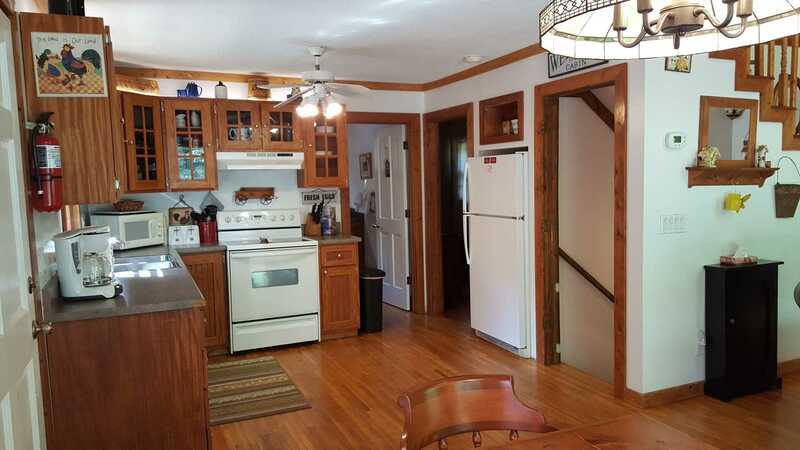 The second full bathroom and full-size washer and dryer are also located downstairs. 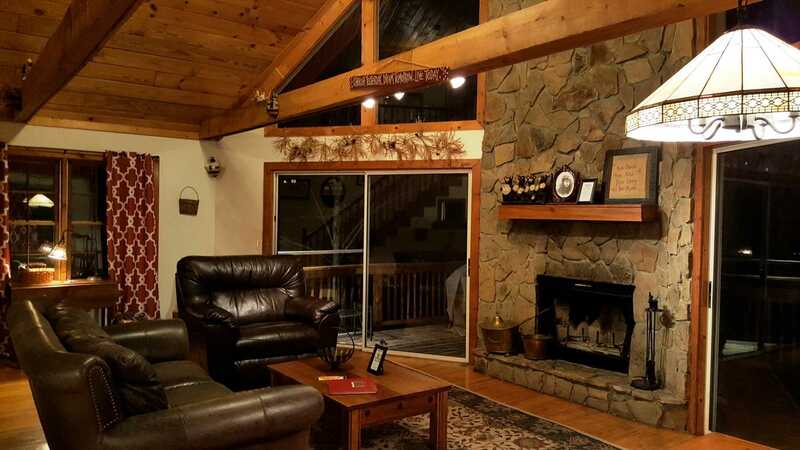 This family friendly cabin is spacious and offers great amenities for the kids. 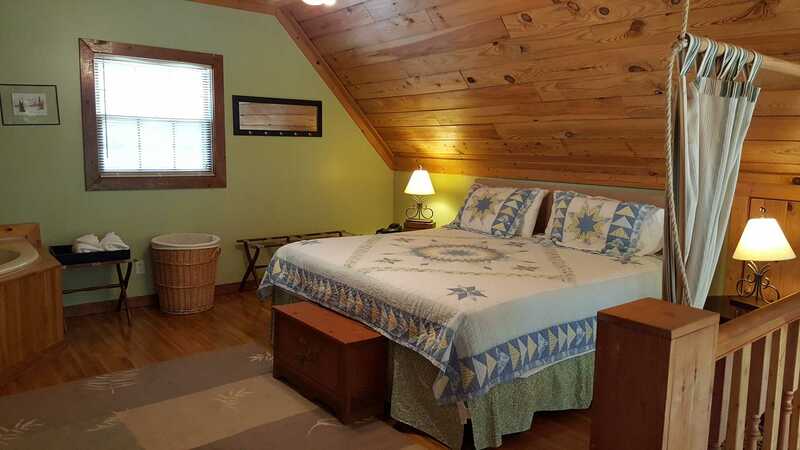 Just 6 miles to downtown Helen, Ga and 3 miles to Unicoi State Park and Anna Ruby Falls which provide plenty of fishing, paddle boarding, canoeing, kayaking, ziplining and more. Helen is the 3rd most visited city in Georgia! 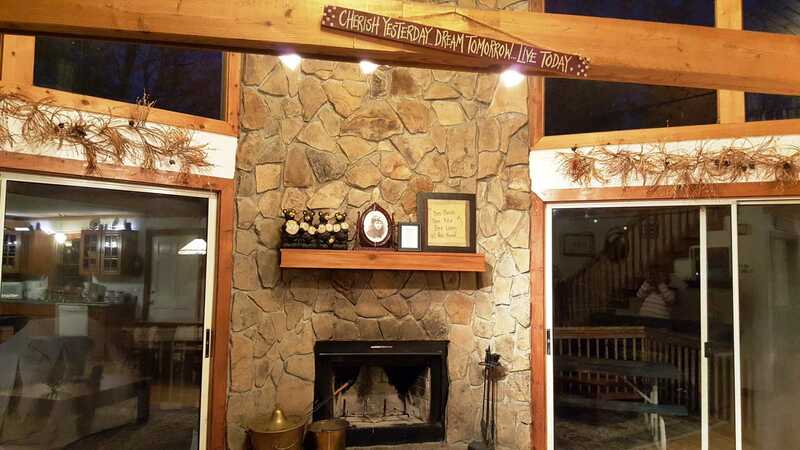 You'll need to plan your visit accordingly with so much to do: like the Georgia Wine Highway, four wheeling, horseback riding, water tubing, white water rafting and the many scenic stops along the way. 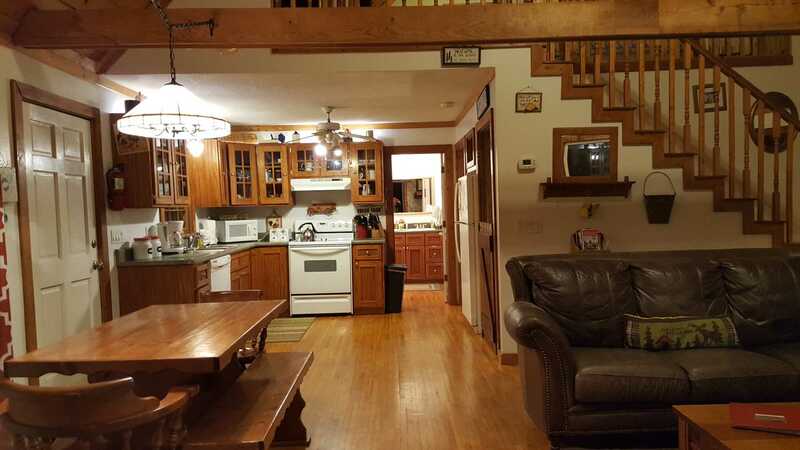 Bring the family pet as well. Pets are welcome, but prior approval is required. Contact us for further details. 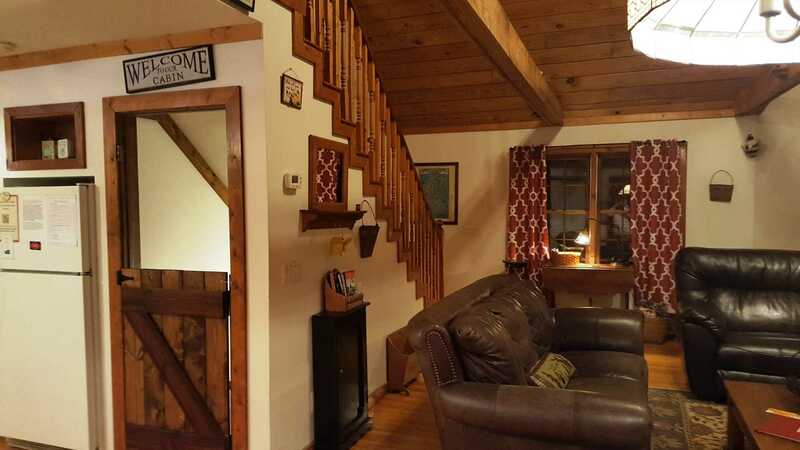 This cabin is for family fun and relaxation - large parties are prohibited. 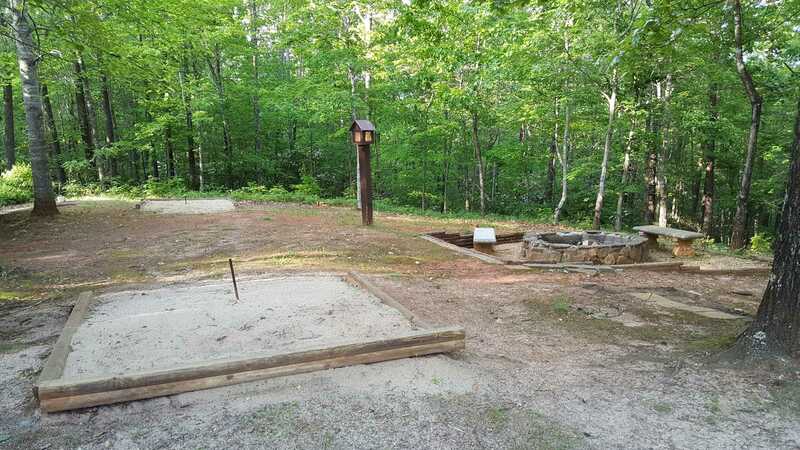 Parking is provided on site - please park on gravel do not drive over timbers and park on grass.